The region of Thrace, currently occupied by Greece, Turkey, and Bulgaria, has seen millennia of conflict and migration. Once part of the Ottoman Empire, it was an access point for the invasion of Europe. 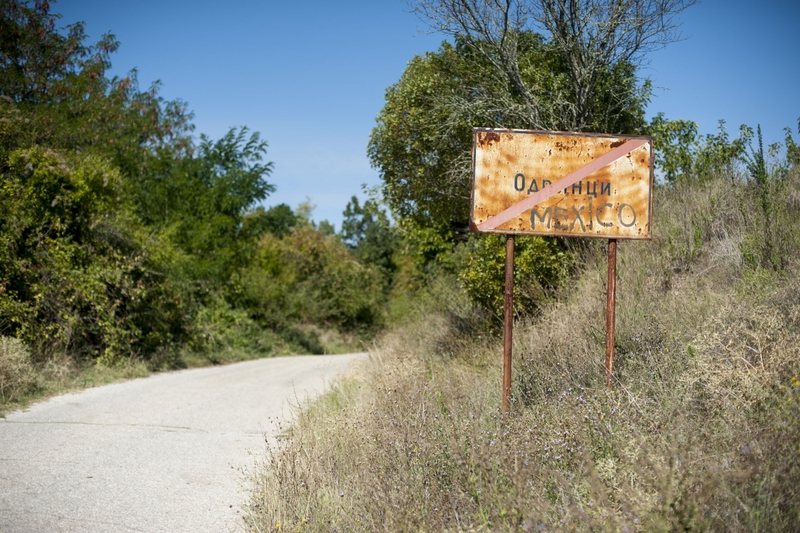 In the late 19th and 20th centuries, numerous border shifts and the creation of ethno-states saw thousands of people cross to begin new lives. Today, it serves as a major crossing for refugees hoping to settle in Europe. 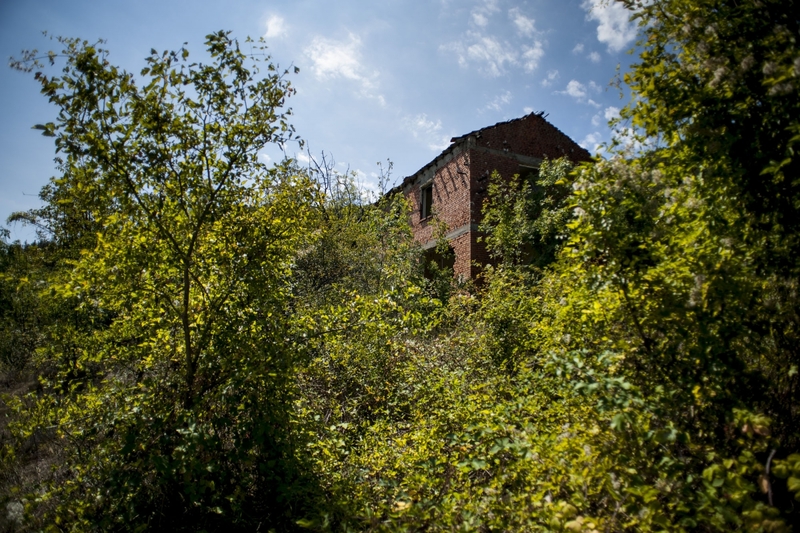 An abandoned building peaks through the brush in Ivaylovgrad Province, Bulgaria. Many villages have been abandoned by waves of people emigrating to urban centers for work. 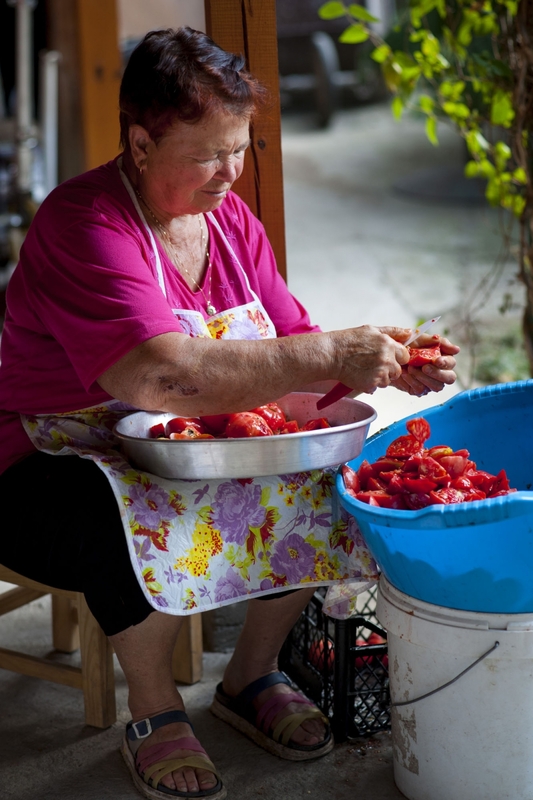 Kerana cleans pink Kurtovo Konare tomatoes in preparation for making lyutenitsa, a flavorful sauce ubiquitous in Bulgarian cuisine. While there are innumerable recipes, a Queen of Lyutenitsa is crowned yearly in the town of Kurtovo Konare. Competition is fierce. 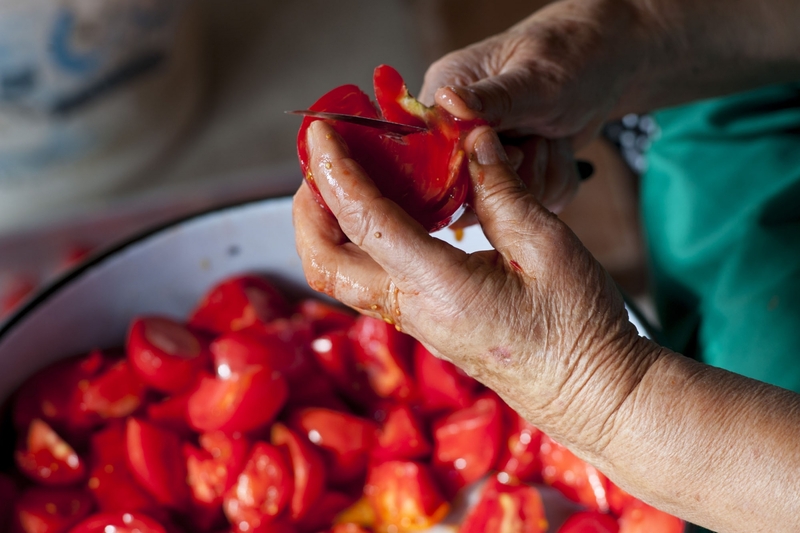 According to legend, Kurtovo Konare tomato seeds were smuggled in a hollow walking stick from Istanbul to the small town near Plovdiv, Bulgaria in the late 19th century. Since then, the town has cultivated the special, hyper sweet varietal while struggling to compete with industrially farmed products from elsewhere. After all of the ingredients are combined, lyutenitsa needs to be stirred for upwards of ten hours to gain the right consistency. 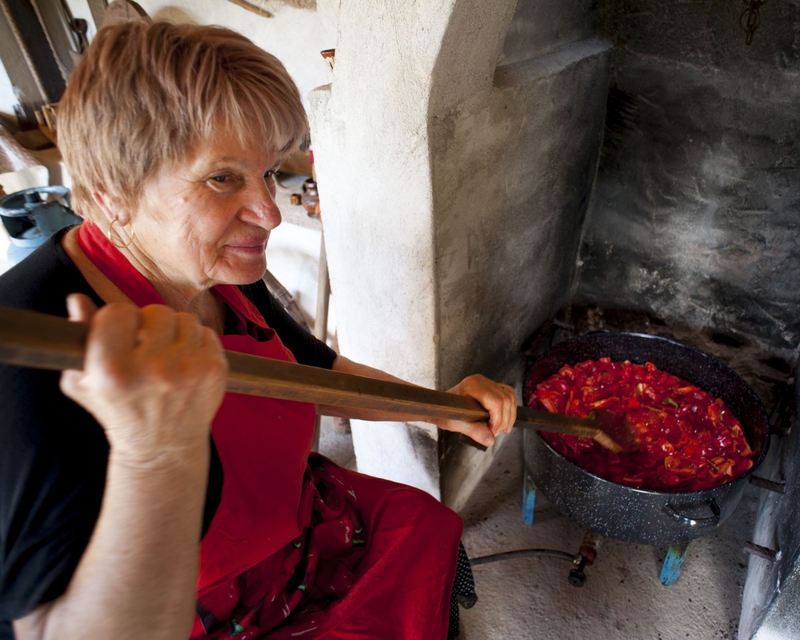 This tradition is hard to replicate outside of Bulgaria, due to the quantity of produce required and the amount of time necessary. Recipes for lyutenitsa vary greatly and the flavors are discussed like fine wine when comparing. 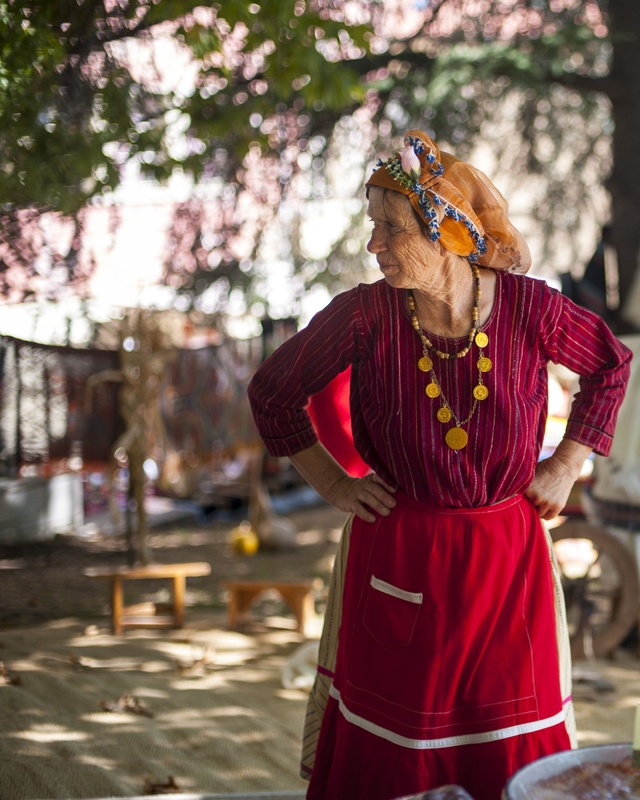 A woman takes a respite before hundreds of people descend on the Thracian Food Festival in Ivaylovgrad. Pastries stacked upon pastries are snatched by hungry visitors, jockeying to buy favorites before they disappear. Each town represents their traditions in food form with subtle variations. One form of banitsa (similar to borek or baklava) may have pumpkin, while another purslane filling. Each reflects distinctive journeys the food has taken over space and time. 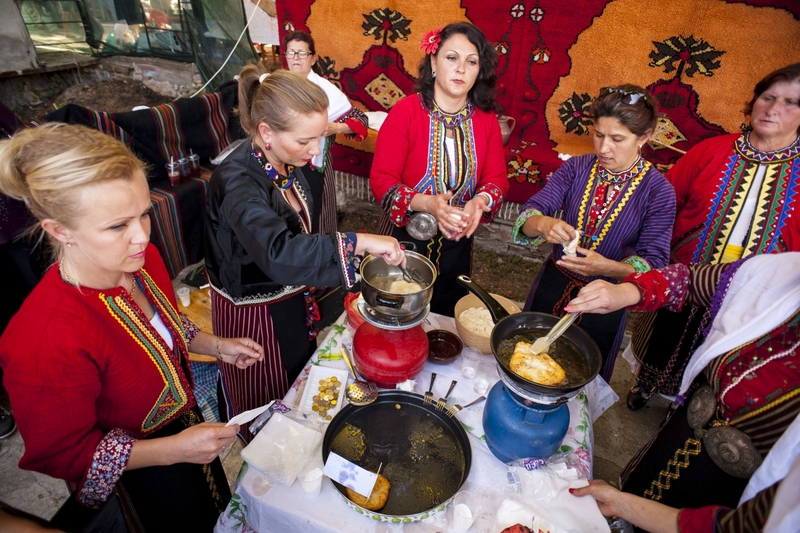 In recent years, food festivals began popping up throughout Bulgaria to support local traditions and communities. 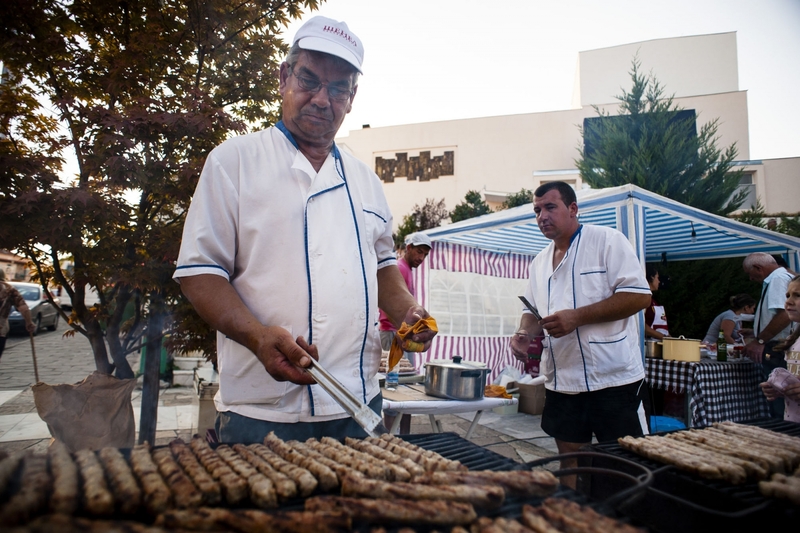 In Ivaylovgrad, a pan-Thracian food festival was born, including people from nearby Turkey and Greece. Stalls, often representing a given town, compete to be crowned the tastiest while wearing traditional dress and singing old songs. 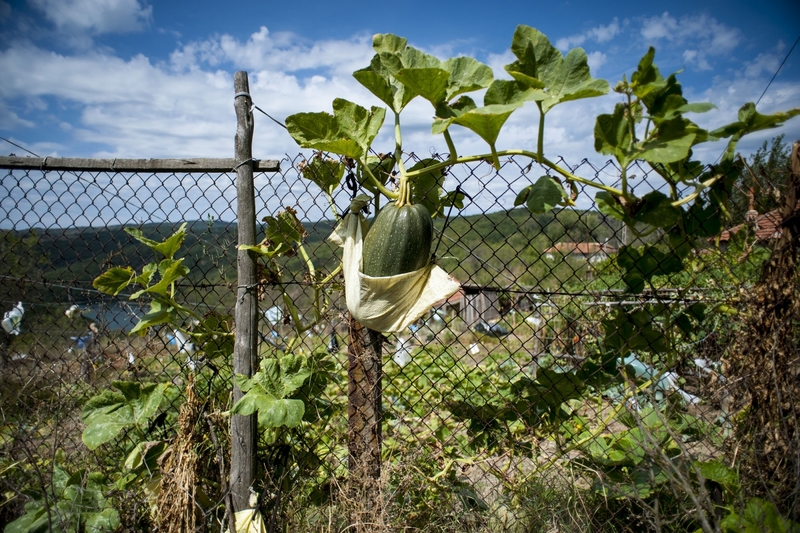 Small villages throughout southern Bulgaria rely on the fertile soil of Thrace to produce the food they live off of. After the fall of socialism, waves of emigration have affected rural regions to the point where many villages now only have a couple dozen year round occupants, making it difficult to continue centuries old food traditions. Kebapche, a long thin sausage cooked on a grill, is common throughout Bulgaria. It is good late night fare, washed down with cold beer while watching traditional dancing during summer festivals. 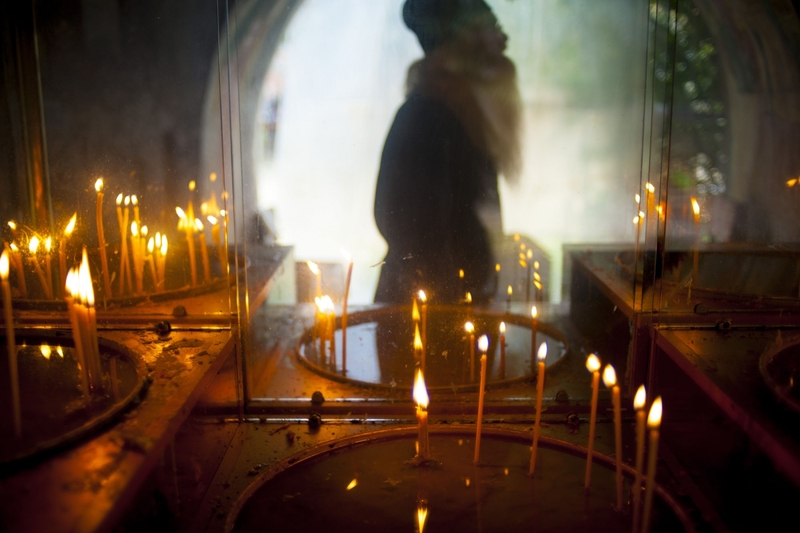 A monk makes his rotations, removing burnt out candles at Bachkovo Monastery. The monastery was founded in the 11th century in the Rhodope Mountains south of Plovdiv and is active, seeing many visitors. Bulgarian Orthodoxy is omnipresent, whether in the visages of icons mounted on walls or the celebration of harvest feasts associated with saints. Odrintsi, a small Bulgarian town on the border with Greece, was once populated by Bulgarians fleeing nearby Edirne, Turkey after the second Balkan War in 1913. Until very recently, only two residents remained. Now a group of Germans looking to live off of the land have begun to repopulate and renovate the empty houses. Hopes that young people will return to villages hold strong in rural Bulgaria.